Two fundamental aspects in the use of the Kalman Filter for simultaneous localization and mapping are the issues of observability and controllability. 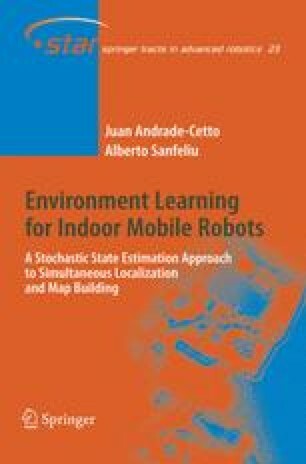 Unfortunately, in SLAM, the state space constructed by appending the robot pose and the landmark locations is fully correlated; a situation that hinders full observability. Moreover, the modeling of map states as static landmarks yields a partially controllable state vector. The identification of these problems, and the steps taken to palliate them, constitute one of the main topics of this monograph. The bulk of which is covered in this chapter.